"I chose to study at Nottingham Trent University (NTU) because I liked the sound of the policing pathway. I was always interested in law enforcement and wanted to gain experience in order to decide if it was the career for me. No other universities offered the same insight into the world of policing. "I enjoyed learning about the law at A-level and wanted some real-world experience of policing. The policing pathway, and the fact that the pathway offered a Certificate in Knowledge of Policing (CKP), really stood out to me and was not offered anywhere else I applied. 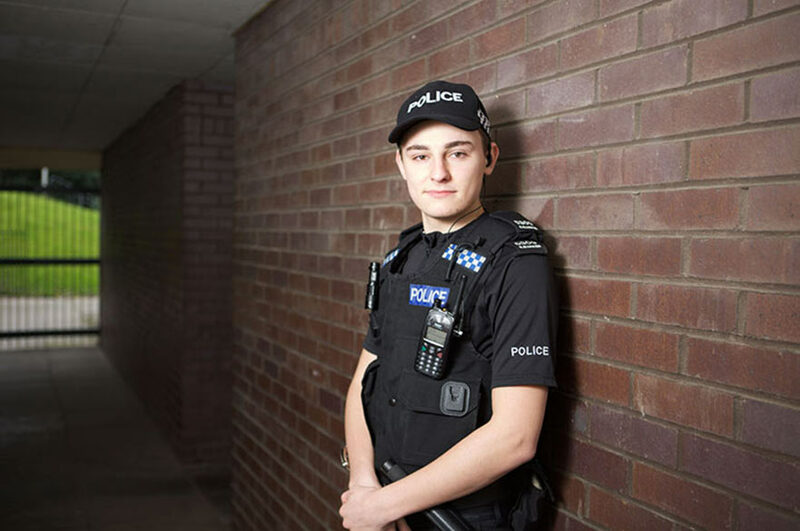 "The policing pathway allowed me to gain an insight into policing life through being a special constable. It allowed me to decide if policing was a career path I wanted to choose, and also gave me something to relate to the theory side of my studies. Police interview skills was a topic I particularly enjoyed in second year. "I most enjoyed the practical side of the course; through police training I have made lifelong friends who I now live with. I will leave university with a CKP, two years' practical policing experience and a relevant degree, all of which will be extremely beneficial when applying to join the police. I feel that the policing pathway has made me grow personally as I have had a great deal of responsibility as a special constable and have matured vastly over the three years." Please note: we no longer offer the BA (Hons) Criminology with Policing Pathway. We now offer BA (Hons) Criminology or BA (Hons) Policing.